Browse : Home SEO A Knowledge Graph Pop-Up For Search Results – Is This Good For Site Owners? 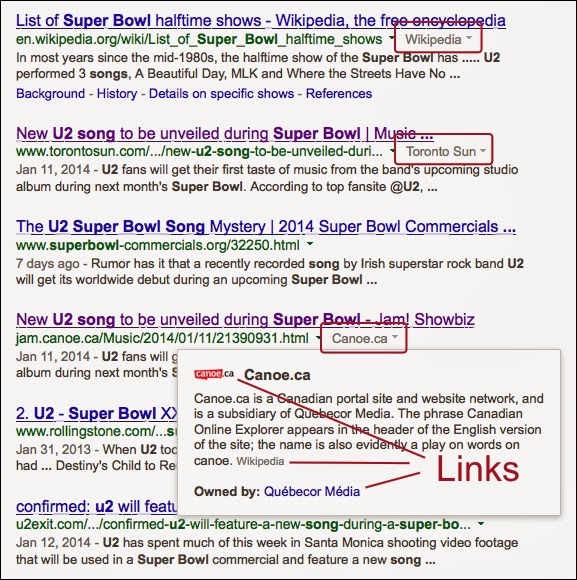 A Knowledge Graph Pop-Up For Search Results – Is This Good For Site Owners? Google has recently announced a formal and professional roll out of a kind of test that some searchers and visitors have been seeing for a few days now. This test is associated with a Knowledge Graph pop-up with certain web pages in the desktop search results. This pop-up will add more extensive information on some particular search results and this seems to be a good option for the people who are searching for some information. But the experts and the SEO analysts are of the opinion that this might not be a good move for the owners of the websites. Read on the concerns of this article to know more on this knowledge-graph and how it might help the searchers and how it might not prove to be enough beneficial for the website owners. You can only see this extra information when a particular website is widely recognized as notable online and when there is enough information to show and when the content is handy enough for you. Since it is called the Knowledge Graph data, such pop-ups will predominantly rely on Wikipedia and there are searchers who have reported that they still haven’t seen a single example that didn’t etch in data from Wikipedia. The data will actually provide background on the websites that are listed in the Google search results and this will be visible within a small pop-up window that will be easily accessible from a particular clickable link placed in the second line of the result. The link is usually of Wikipedia, clicking on which you will directly reach the webpage of Wikipedia. How will this be good news for the searchers? When a novice, who doesn’t have anything commercial in mind, comes to search for something in Google, the only thing that he expects is good and reliable information through which his purpose can be served. While the searchers can easily make the best out of the search by personalizing the information by different ways, the new pop-up Knowledge graph will also help them in knowing more on what they need to know. This will help them get enough good information and bad information as well but the only difference is that they can be easily able to differentiate the good from the bad. Good news or bad news for the website owners? Apparently, for the website owners, this change by Google could seem to be a pleasant addition as it adds extra information about the particular website and this way the searchers may end up clicking on the link of the company. Apart from this, there may also be an element of accomplishment as it will imply that the website is important and vital enough to have got this search result feature. On the other hand, this new pop-up will add up to 3 extra links to the search result that won’t be relevant to your website. The avatar/logo links to the Google+ page of the website, the “Wikipedia” credit at the end of the text links to the Wikipedia page of that website and the “Owned by” text links to the Google search. The pop-up search has already become popular with the searchers of Google. This could also lead to some better click-away from the original web page that Google has included in the search results. I guess it can be good and it can to annoying! I tend to avoid sites with to many popups. I find them annoying and will avoid those sites!